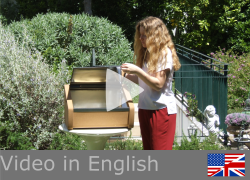 The solar cooker has been re-invented. 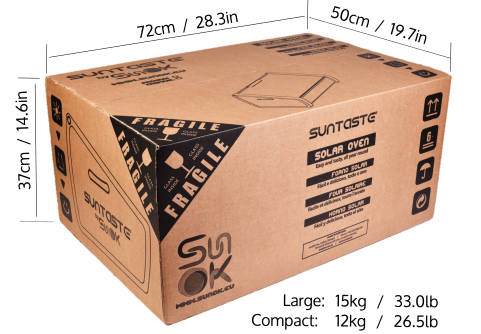 Suntaste: fantastic oven, unique case. It's autonomous and you don't need to attend to it because it never burns the food. No fuel, no ashes, no smoke, no stirring and no scorching are all part of the appeal. 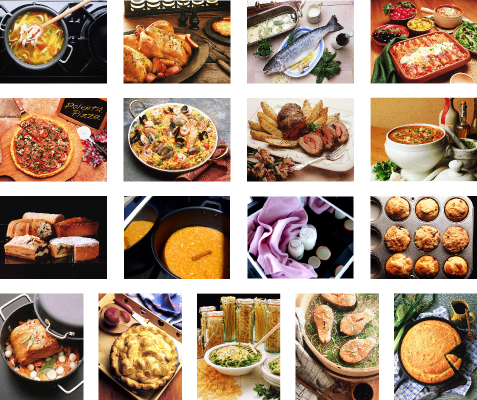 Slow cooking, taking up to twice as long as traditional cooking methods, results in tastier, juicier and more nutritive food. A simple design and first-class materials from the world’s leading manufacturers all contribute for a long and trouble-free life. 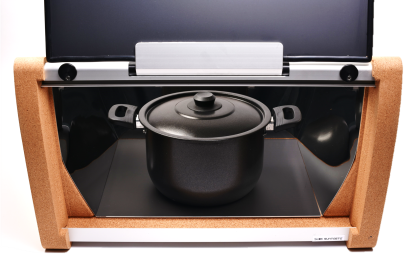 Both advanced optics and effective insulation allow for cooking with negative temperatures and no need for refocus. All you need is clear sky. The Suntaste recurs to the so called "non-imaging optics“, first used in an oven in our later model, the Sun Cook. It works as a greenhouse, capturing the sun's rays through the glass lid. In addition, solar radiation is also reflected by the external flat mirror into the cooking compartment, doubling the input of energy. The rectangular footprint reduces the need for reorientation, when compared with more squared shapes. Inside the cooking compartment, mirrored walls act as compound-parabolic concentrators (CPC), greatly reducing the need for regular re-orientation. These concentrate all incoming solar radiation to the bottom absorbing plate, which in turn radiates heat allowing for a very homogeneous temperature to be attained. The cooking compartment's insulation and the double glass cover minimize thermal losses and may keep food warm for some hours even after sunset. Ideal for late dinners then. · Dehydrating food, by keeping the door slightly open and the lid facing the Sun to generate heat but allowing air circulation. > Bread, soup, pasta, yogurts, jams and many, many more. 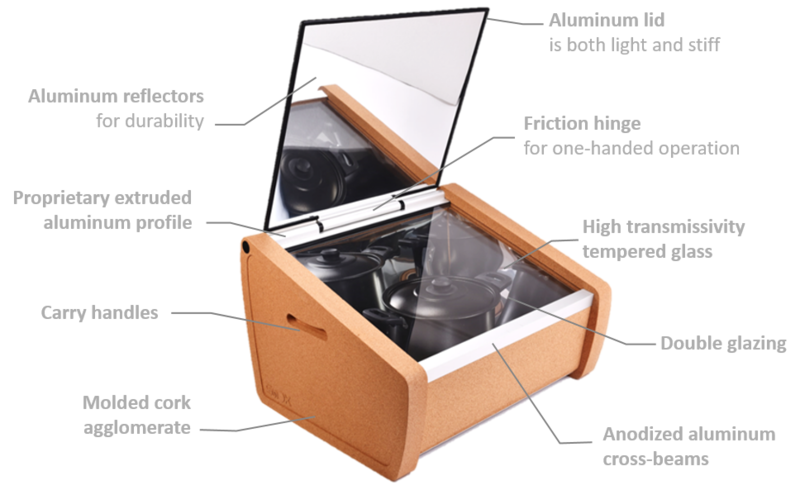 · Making yogurts by taking advantage of its excellent insulation and keeping both lid and door closed. > Focusing so simple that a child can do it. > Includes vessels designed for optimal performance. 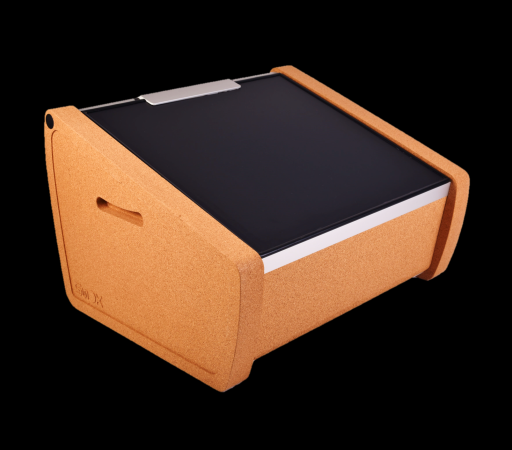 > Compact design allows for easy storage when not in use. > Handles make transportation by 1 or 2 persons an easy task. 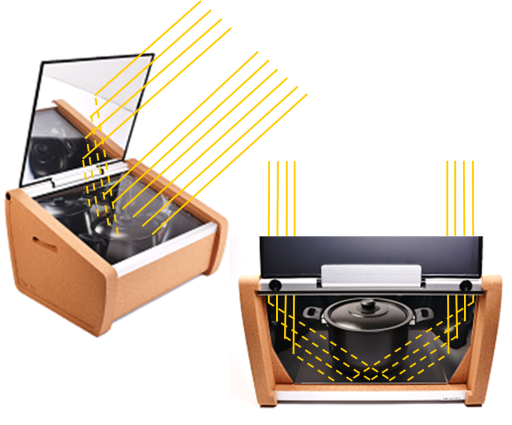 > Removable bottom plate allows for thorough cleaning in case of spilling. > A friction hinge allows for the easy adjustment of the reflective lid’s angle. 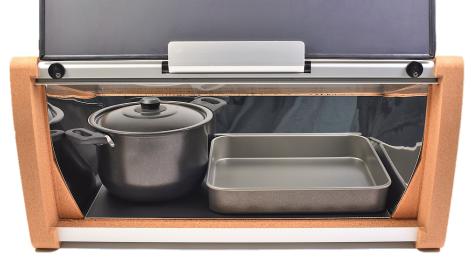 > Removable back door allows for an easy access to the cooking compartment. > Effective insulation keeps the food warm inside, and the outside surfaces cold. 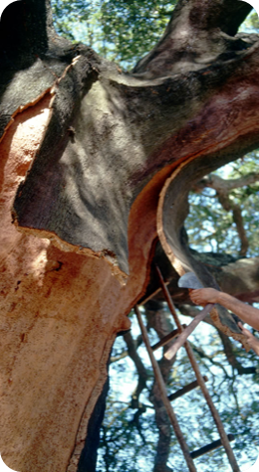 Cork is the bark of the cork oak. It is a 100% natural plant tissue with attributes that no technology has yet managed to emulate, match or exceed (read more here). • Trees absorb CO2 from the atmosphere while growing their bark so our products not only avoid the emission of this gas but they result from CO2 sequestration. • Consumption of cork contributes to the economy of the “Montado” a unique Mediterranean bio system and one of the 35 global biodiversity sanctuaries (read more here).